Please get in contact with us if you want an installation or have any enquiries and either Cheryl or Damian will do what they can to help. Both have extensive experience in the trade. We take pride in our work, and get lots of repeat business as we regularly go the extra mile ensuring a great job is done. We are a friendly, small yet professional company that values customer service. Prior to performing a survey, we’ll be able to give you an accurate estimate of costs. 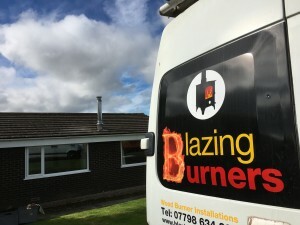 Alternatively email us directly at hello@blazingburners.co.uk or call us on 07798 634388 during normal office hours. Emails are usually the best point of contact as these tend to get picked up on a daily basis during the working week. Phone calls will be limited due to the commitments of an installation and being up on a roof. If you’re keen to talk, you could text and we can arrange a time to chat. If you’ve gone this far, measurements (ideally in metric) of your actual fireplace and room would also be very helpful. If you’ve got some questions, don’t be shy. We might be busy, but just say Hi. 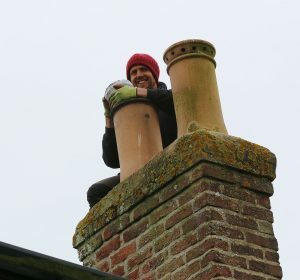 Cowls, sweeping, stove supply and services too! Then perform the work as we’ve agreed. Please go online and take a look. Your expectations and more indeed. Competitive and professional – we like to succeed! Friendly, efficient & tidy, you can see! We’ve got you covered with a Blazing Burner! If you want a stove installed and want to know what your options are and how much it will cost, please get in touch.